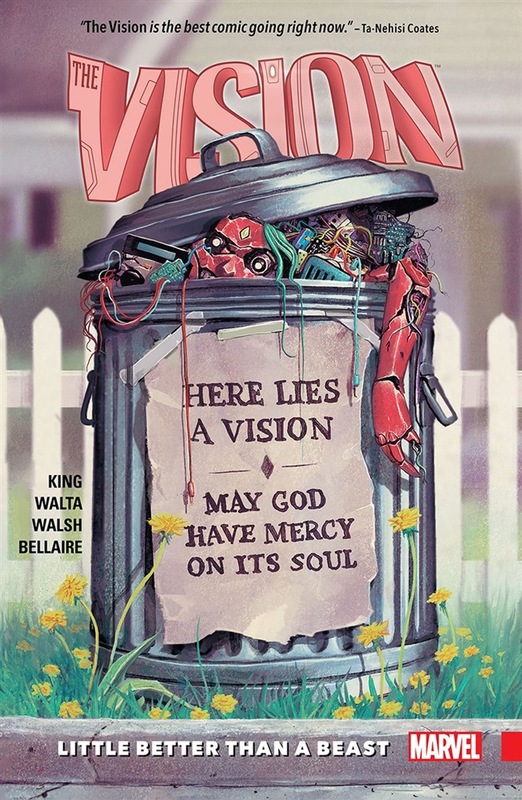 Collects Vision (2015) #7-12. The epic conclusion of the story that everyone is talking about! Once upon a time, a robot and a witch fell in love. But the story of Scarlet Witch and Vision was just the start. Vision has built a new life for himself — a new family. Yet while every family has its share of skeletons in the closet, for the Visions those skeletons are real. And now the family’s facade is crumbling. The Avengers know the truth. 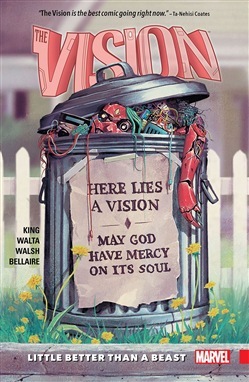 That Vision’s wife has killed. That the synthezoid lied to protect her. And that lie will follow lie, death will pile upon death. The Avengers know they need to act. Tragedy is coming, and it will send the Android Avenger into a devastating confrontation with Earth’s Mightiest Heroes. Nobody is safe. Acquista Vision Vol. 2 in Epub: dopo aver letto l’ebook Vision Vol. 2 di Tom King ti invitiamo a lasciarci una Recensione qui sotto: sarà utile agli utenti che non abbiano ancora letto questo libro e che vogliano avere delle opinioni altrui. L’opinione su di un libro è molto soggettiva e per questo leggere eventuali recensioni negative non ci dovrà frenare dall’acquisto, anzi dovrà spingerci ad acquistare il libro in fretta per poter dire la nostra ed eventualmente smentire quanto commentato da altri, contribuendo ad arricchire più possibile i commenti e dare sempre più spunti di confronto al pubblico online.